Scientists, historians, philosophers and theologians often engage in debates on the limitations and mutual interactions of their respective fields of study. Serious discussions are often overshadowed by the mass-produced popular and semi-popular literature on science and religion, as well as by the political agendas of many of the actors in these debates. For some, reducing religion and science to forms of social discourse is a possible way out from epistemological overlapping between them; yet is there room for religious faith only when science dissolves into one form of social discourse? The religion thus rescued would have neither rational legitimisation nor metaphysical validity, but if both scientific and religious theories try to make absolute claims on all possible aspects of reality then conflict between them seems almost inevitable. 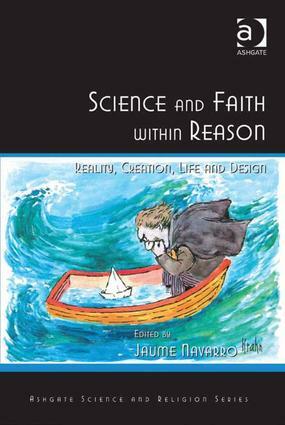 In this book leading authors in the field of science and religion, including William Carroll, Steve Fuller, Karl Giberson and Roger Trigg, highlight the oft-neglected and profound philosophical foundations that underlie some of the most frequent questions at the boundary between science and religion: the reality of knowledge, and the notions of creation, life and design. In tune with Mariano Artigas’s work, the authors emphasise that these are neither religious nor scientific but serious philosophical questions. Dr. Jaume Navarro is a historian of science, trained in Physics and in Philosophy, working at the Max Planck Institute for the History of Science. He is also an affiliate researcher at the University of Cambridge. His current research evolves around the notions of matter in British science at the end of the nineteenth century and beginning of the twentieth, as well as the impact of the quantum revolution among British scientists. He has published three books and edited a fourth one. He is currently writing a book on the history of Physics, under contract with Cambridge University Press, and an edited volume (under review with MIT Press). He was a student and collaborator of Prof. Mariano Artigas, with whom he worked on Science and Religion Studies.